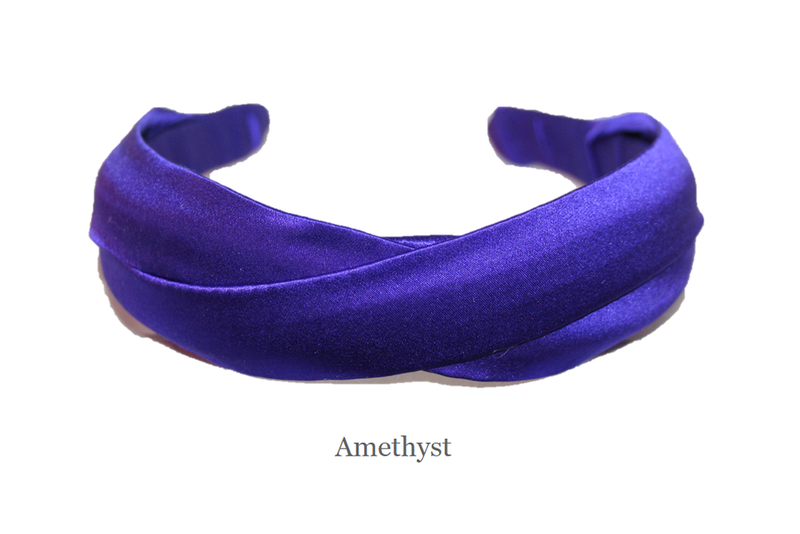 This 1" silk headband is a MUST. Crinoline lined silk to not only keep its shape but the 'cupping' of the silk looks beautiful in the hair, gives height and is very comfortable. A flexible French headband ensures ultimate comfort. An elegant headband for everyday. Shown on our model is espresso and in the Four Seasons Magazine in red.